1. 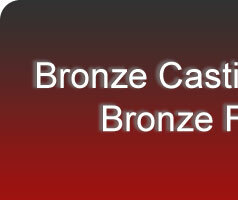 Castings and finished parts manufactured by the process of Investment castings, Sand castings, Shell molding, pressure die castings, permanent mould, etc. 2. 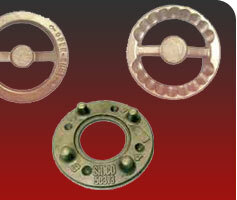 Forgings in steel and non-ferrous and finished parts there of. 3. 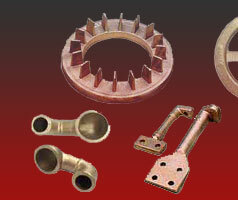 Sheet metal components and assembled products. 4. Machined and turned parts on CNC machines. 6. Fabricated and assemble of the other parts. 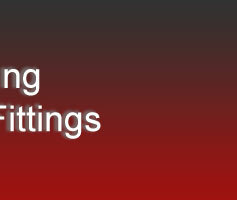 Automobiles, Textile machinery, Weapons & armaments, Food & Dairy machinery, Valves and pumps, Materials Handling, Artificial Limbs and Human Aid, Electrical Switch Gear, Machine Tools and Accessories, Compressors, Fluid Handling, Turbochargers, Locks and Hardware, Hand and Crimping Tools, Pharmaceuticals and Packing.1. 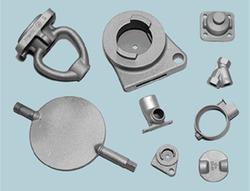 Castings and finished parts manufactured by the process of Investment castings, Sand castings, Shell molding, pressure die castings, permanent mould, etc. Automobiles, Textile machinery, Weapons & armaments, Food & Dairy machinery, Valves and pumps, Materials Handling, Artificial Limbs and Human Aid, Electrical Switch Gear, Machine Tools and Accessories, Compressors, Fluid Handling, Turbochargers, Locks and Hardware, Hand and Crimping Tools, Pharmaceuticals and Packing.